There are few things in life that are certain when you become a parent — infants teach us the true value of a whisper; guilt, panic, and worrying automatically go into overdrive every day for the rest of your life; and we have never wanted the world to be a better place as much as we do as parents. As a writer, I have an annoying habit of dissecting words in my mind as I or others speak them. I break them down syllabically to get to the root of the word so I can completely understand how and why they are being used, what they mean, and how they might impact my life at that moment. I’ve hated the word “minority” since the third grade because the root word is “minor,” meaning less than. At no time do I ever want to be considered less than and I certainly don’t want my children lumped into that group either. If I could go a bit further in my explanation, the opposite of “minority” is “majority” with the root word “major,” meaning more than or important. Since society has determined that people of color are minorities, one can only conclude that society also means that white people are the majority; thus, we are less than and the majority is more important. This. Is. Why. Cultural. Identity. Is. Critical. I am sensitive to the fact that in education, everyone may not be tuned in to their cultural biases that preclude them from automatically considering whether the lessons being taught are inclusive of diversity. For example, I talk to my children’s teachers all the time about the importance of intentionally seeking diversity, equity, and inclusion in their classroom lessons. My sons, ages 8 and 12, know they have the option to bring a folding chair to any table they aren’t invited to. They have the moxie of Shirley Chisholm in their spirit. Therefore, the black experience will always be part of our educational discussions even if we have to be the ones to lead it. What’s more is that my children understand that they have a village of parents who teach them to know their worth. We stress the importance of staying alert to receive and give learning opportunities. We teach our children, if someone is culturally unaware, then it is your duty to inform them, because no one can tell our story like we can. Parents, I encourage you to take the time to understand what your children are being taught in school. Be bold in your pursuit of ensuring that their culture and identity show up in simple things like posters on the wall, lessons of the day, examples of work, and class projects. I am thankful that my career trajectory has kept me in the education and community service sectors for the past 13 years because I am able to learn things that I honestly believe that either I would not know are important for me to learn and/or I would not be able to easily recognize instances of inequity that require “fixing,” especially in the classroom. For example, when my oldest son was in the sixth grade, his new history teacher, a white man, announced they would be studying Western European history for the year. During our parent/teacher meeting, I asked him: How was he going to incorporate the black Western European experience during the year? What books would the students read? What projects should they expect to have? After all, the majority of his class is black, sans one Latino and two biracial students. I needed him to explain to me how his awareness of the culture of his class would show up in his daily lessons. I wanted him to see that being included and acknowledged is something that needs to be nurtured, and in the classroom, he is in the role to bring the “thinking-outside-the-box-ness” to his students. He was floored. He didn’t have an answer. He said he hadn’t thought about it and I was the first person to ask him such a question. I told him that I would help him. More importantly, my son — his student — would help him. Give my then-11-year-old the room to teach and he will do so. This was his teacher’s opportunity to pull up his own folding chair. Perhaps your situation isn’t as absolute as this one. Perhaps it’s another matter all together. Whatever the case may be, I encourage you to be a resource for teachers who may be so culturally unaware that they believe that waiting until February to celebrate black history is OK and Latino heritages can only be celebrated in September. Perhaps they don’t know that women can be celebrated throughout the year — not just in March. As parents, we have the unique ability to teach others about ourselves, our heritage, and that of our children. If you don’t know, learn how to spot a culturally unaware environment. If all of the images, information, and materials focus on children of only one race in your school or classroom, clearly your work is needed to bring some diversity into that space. 1. Take an impromptu tour of your school and make note of the physical surroundings. What visuals do you see? Are they diverse? What stories are being told by the physical space? How do you feel as you walk through the hallways or sit in a classroom, theater, or gymnasium? Do you notice anything or any group missing? Report your findings to your school’s leadership and ask them to do something about it. Offer to work with them to help find solutions for the diversity desert that currently exists in the school. 2. Talk to your children’s teachers. Ask them culturally relevant questions. 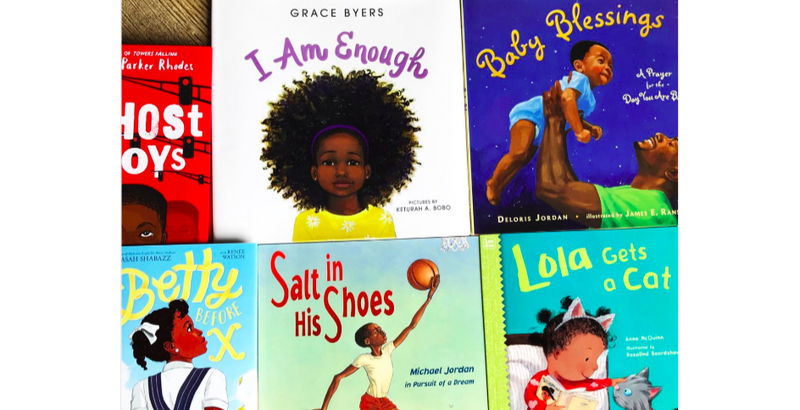 Are the books they assign and/or read to the students culturally affirming to every child in the class? Is there any group being left out? Are there opportunities inside and outside of the classroom that the students can be exposed to? 3. Utilize your PTA and host a series of conversations around cultural diversity throughout the school year. Perhaps an outcome of the series could be a list of cultural core values that the parent association adopts as its own. Tanzi West Barbour is chief communications officer for the Wayfinder Foundation in Washington, D.C. Prior to that, she held senior communications roles for the PIE Network, Black Alliance for Educational Options, and Prince George’s County Public Schools in Maryland. Tanzi West Barbour is chief communications officer for the Wayfinder Foundation in Washington, D.C. Prior to that, she held senior communications roles for the PIE Network, Black Alliance for Educational Options and Prince George’s County Public Schools in Maryland.